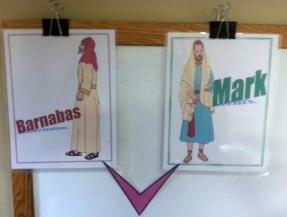 During our study in the book of Acts, I have these posters that I clip to the top of the White Board. I can change them, add/subtract as I need to. I like them better than one poster board. I also use the arrows you see at the bottom to connect Paul to the people he is traveling with each week. I print and laminate them and have reused them for years. 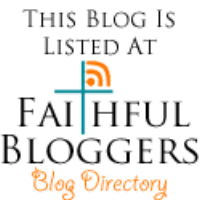 I also have a review sheet we use, and other printables. This is an old post and these posters have been updated. There are also several additional posters to choose from. 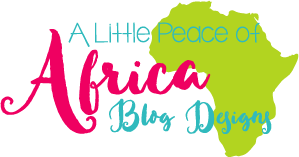 Click here to see the new posters. These are used for several lots of weeks, so I decided to add them as a separate post. 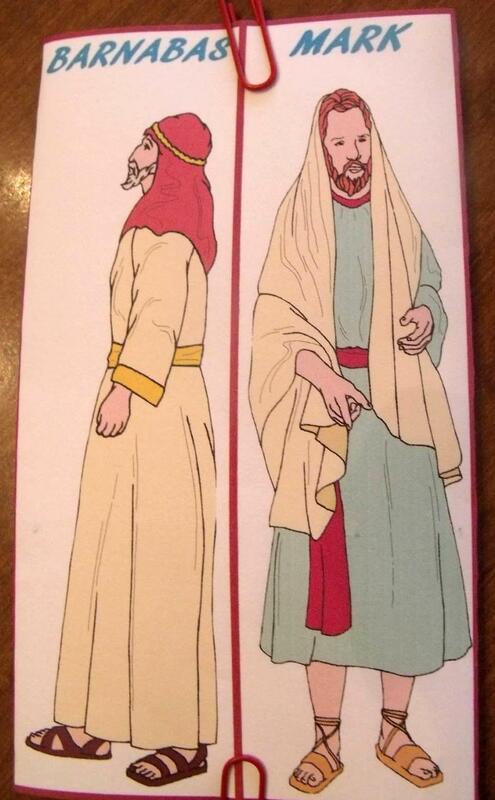 It will be easier to find and print if you are interested, rather than having to find each poster in a different Bible lesson. 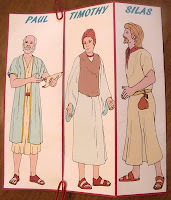 I start right away with Paul and Barnabas. 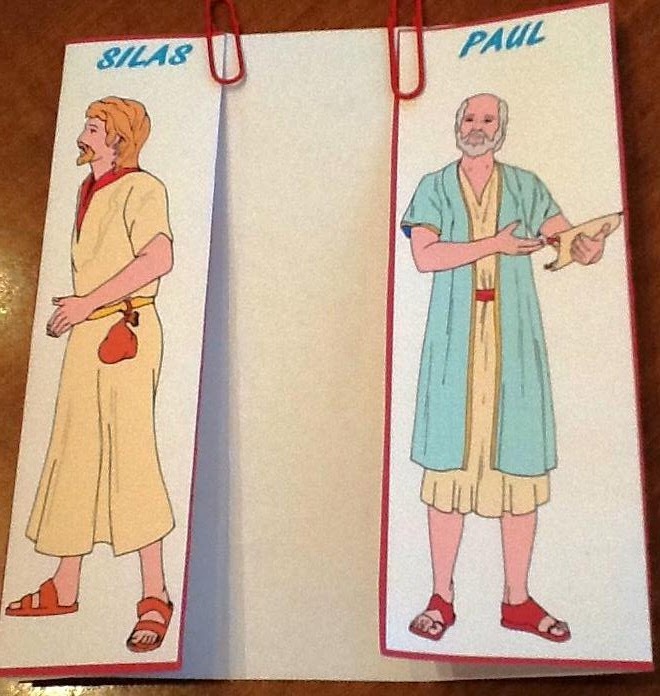 They start working together when Saul leaves Damascus in a basket, which is the second lesson about Paul. so there is not a separate one. Here are the arrows I use to connect everyone. This is also the poster I use with Timothy. 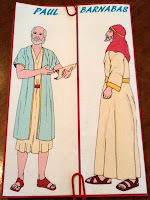 He was taught the scriptures by his mother and his grandmother. Click on the above picture to print. Click here to print the above poster in Spanish. 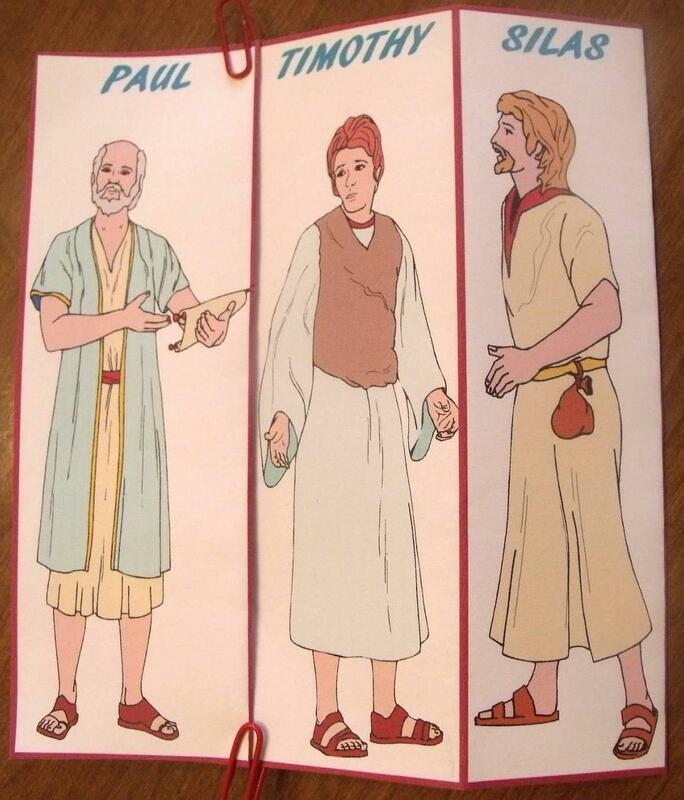 There are more printables for the men traveling with Paul here. 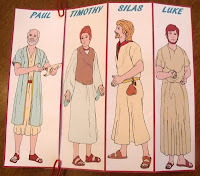 This is a foldable I use to discuss the different men that Paul worked with teaching God's Word. If you cut around the outer line, and fold on the inside lines, it will fold showing who Paul worked with. (See photos) Here is the link to print it. 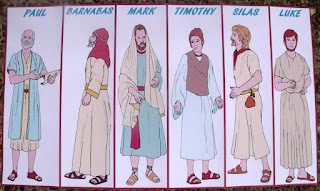 There is another set of printables on the Timothy lesson. I used the same graphics to make a small flip chart for the students to use while I am telling the lesson. 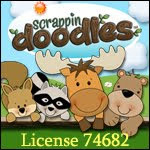 The printable could also be used as a set of cards. 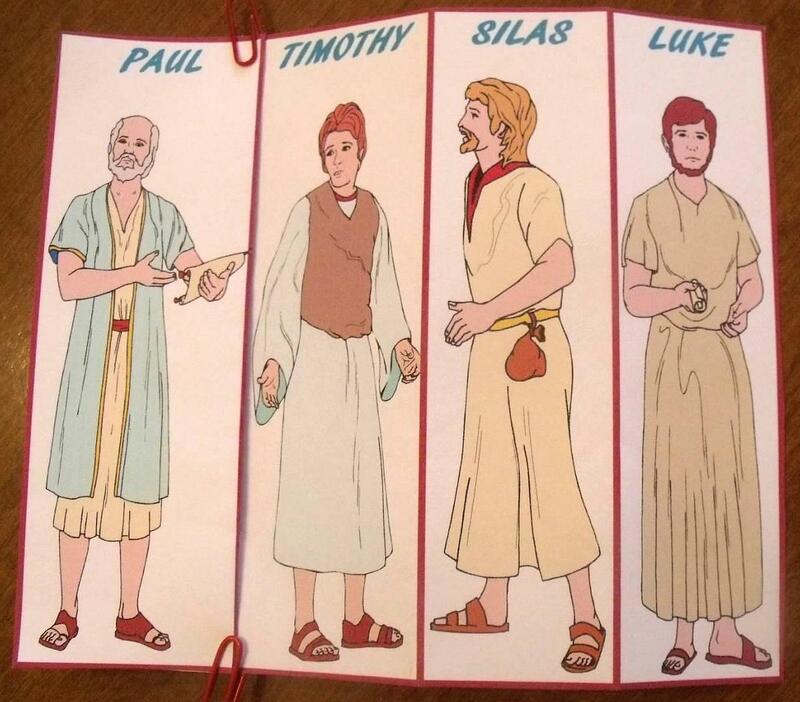 This poster is for when Luke is traveling with Paul. 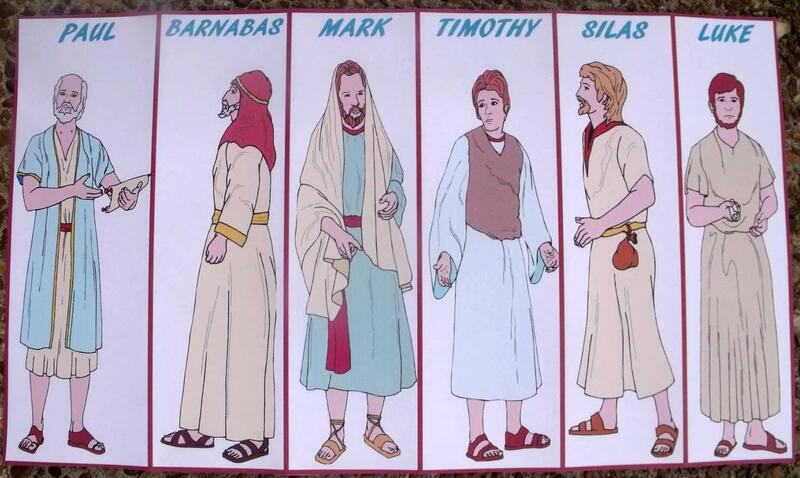 Once they learn this, it will help them in their studies in Acts. You can print it here. This is so wonderful and I'm sure it takes quite a bit of time. I thank you from the bottom of my heart May God keep you in health and safety, especially in the spirit of our Lord. 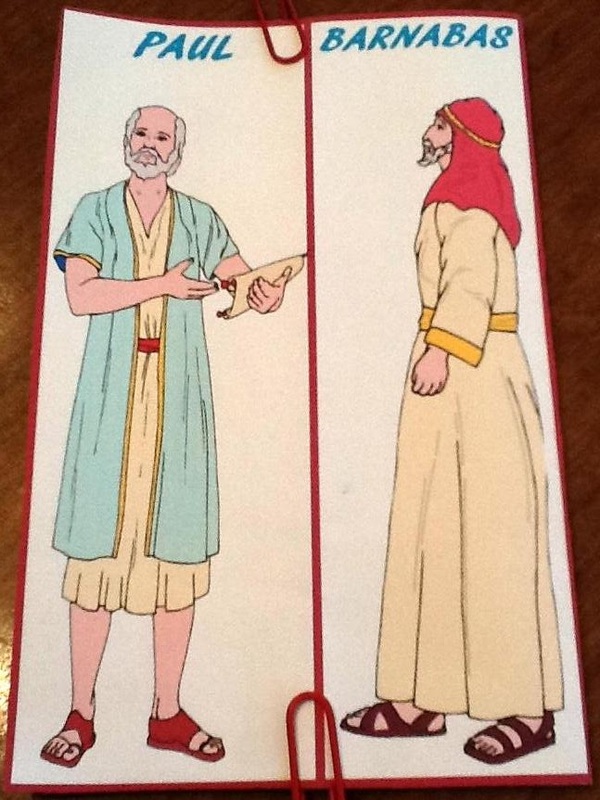 I do have a couple of much younger children (2-4), what are the chances of a few bible related coloring pages? that would be awesome!